This post-Darwinian novel was published in the same year as The Descent of Man. Written in the Victorian era, it was an influential work of science fiction. The ideas contained within were borrowed/endorsed by an assortment of interesting historical figures. An American engineer slips into a subterranean world, where he encounters a race of humans known as the Vril-ya. The Vril-ya escaped an aboveground catastrophe by hiding in this underground, where they discovered an energy that comes to shape their civilization into a utopia, barring one issue. 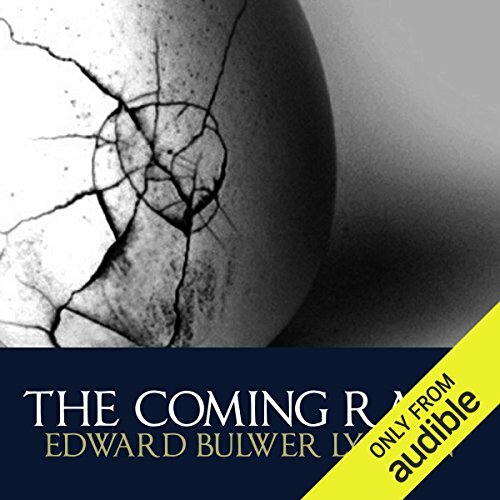 Narrator William Hope enlivens the first-person narrative with his clean American accent and conversational tone. Hope’s sincere and accessible voice helps to normalize the story and to illuminate its philosophical themes. Edward Bulwer-Lytton's book is ostensibly a work of Science Fiction. It deals with an underground race of advanced beings, masters of Vril energy - a strange power that can both heal and destroy - who intend to leave their subterranean existence and conquer the world. But the original book has been seen by many as a barely concealed account of Hidden Wisdom, a theory that has attracted many strange bed-fellows, including the French author Louis Jacolliot, the Polish explorer Ferdinand Ossendowsky, and Adolf Hitler. I discovered this book while watching a documentary about the Nazi interest in the occult and their hopes to harness a free energy source called vril. The documentary explained how this book was a partial inspiration behind vril. I have a scientific rather than historic or literary. For me I loved this book for the beautiful use of the english language in it's proper and quaint form. The narrator too, was excellent. The story was interesting and descriptive enough to allow visualisations of his journey and surroundings. I was eager enough to know how the story would unfold and conclude. Perhaps in some small parts the story was ever so slightly dull, I had to rewind to re-listen as my attention drifted off elsewhere, but this was an infrequent occurrence. Overall it's a very pleasant read. Very much of it's time. Definitely worthy of academic discourse and study rather than entertainment.